To EFFECTIVELY get rid of scorpions in Phoenix AZ, you need to keep up scorpions and pest control services each month all year round. Arizona scorpions, and Bark Scorpions, live all year long. They’re resilient and can survive the coldest temperatures our desert may have. Most scorpion species are solitary, but in during winter months in Phoenix, Bark Scorpions nest together in large groups. The more we remove scorpion resources from our environment, the better scorpion control results we achieve. Scorpions need food, water, and shelter to survive, but can go with out food for long periods of time where water is available. They hide during the heat of the day under tree bark, rocks, concrete, and other debris. Scorpions need moisture, for themselves and their prey, which is usually provided by watering systems and Monsoon rains. They’re commonly found in homes throughout the Phoenix AZ Valley, and only need a 1/16 inch opening to squeeze their way in. Scorpions also come in through vents that enter your home from the roof or exterior of your home of office. Screen these vents to prevent scorpions, and other pests, from dropping in… Literally! Responsible Pest Control Techs can suggest solutions for your home to cut down on scorpions resources. 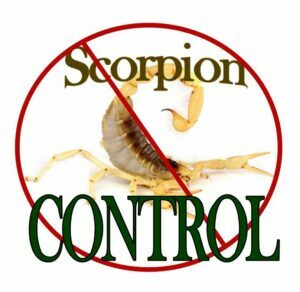 See for your self why Responsible Pest Control has the most EFFECTIVE Scorpion Control in Phoenix AZ and the surrounding valley! Responsible Scorpions Pest Control in Phoenix, Mesa, Tempe, Gilbert, Scottsdale, Chandler, Queen Creek, Maricopa, Glendale, & ALL surrounding areas.